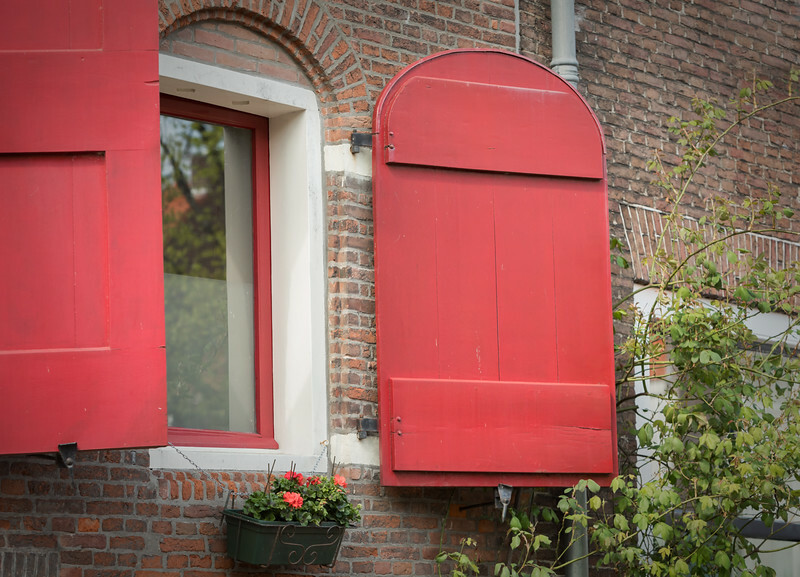 Windows come in all shapes and sizes across the Netherlands. Hinged shutters often accompany the windows. I was fascinated by small or arched windows like this one. Upon a second glance, it appears rectangular windows were added or replaced the original arched spaces.